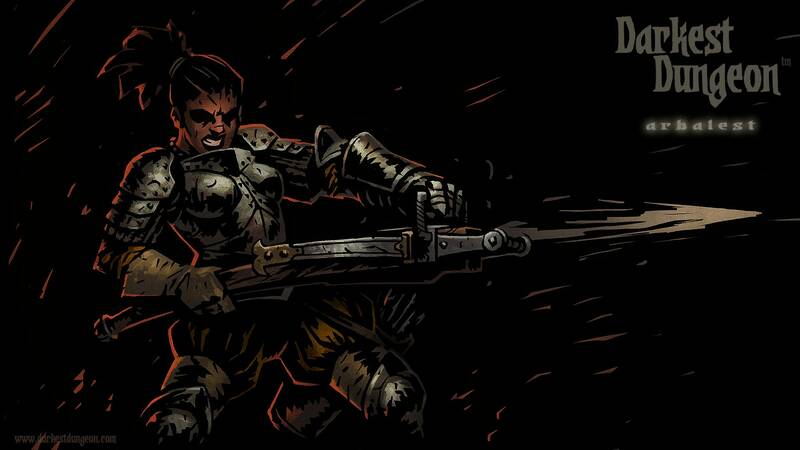 Darkest Dungeon: Arbalest wallpapers for your PC, Android Device, Iphone or Tablet PC. 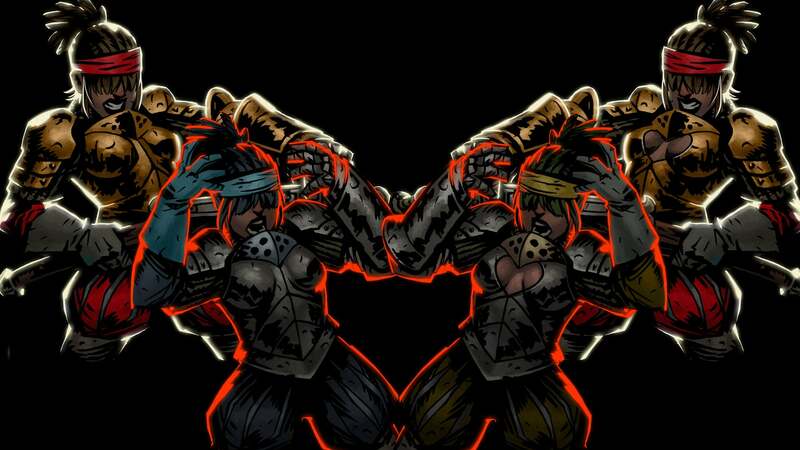 If you want to download Darkest Dungeon: Arbalest High Quality wallpapers for your desktop, please download this wallpapers above and click «set as desktop background». You can share this wallpaper in social networks, we will be very grateful to you. This is one of the two classes have been added to update Fiends & Frenzy. Arbalest armed with a heavy crossbow with which it can eliminate the priority goals in any position. However, it is practically useless to the 1 and 2 positions. As mercenary she can mark the target with Sniper’s Mark thus increasing their damage with Sniper Shot ability by using it on the marked enemy. A good partner for Arbalest are Mercenary, occultist and trainer, as they may mark the target for her. We have a few utilities Arbalest skills, such as Battlefield Bandage – is the ability to increase the treatment effect on the target. Thus it is nice to help others attending classes.